Welcome to the official website of John the Revelator. In 2018 this blues band from Holland will celebrate its 50th anniversary! You can now book your date for their 50th anniversary tour. The band has played all over Europe and also toured Australia. 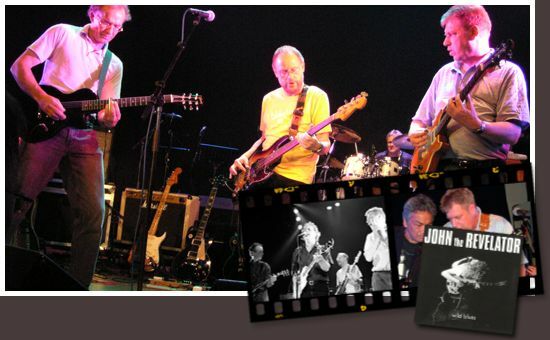 Enjoy this site and experience the long history of this legendary band and keep an update with their new gigs and releases. In our worldwide WEBSTORE you can listen for free to all the songs of the albums the band has recorded over the years. In our webstore you can download any song or album that you like, including covers and some free titles. But you can also order the physical albums that are still available. If you do so, you get immediately a free digital download as a bonus. Lees bijgaande recensie van Bluesmagazine. Free download to celebrate our 50th anniversary! Enjoy the live videos taken from the new DVD 'Looking back'.